MaltaIndependent 15/02/2014: Five employers’ associations have been brought together by the European Parliament Office in Malta to produce a “Maltese business manifesto,” in which they state their expectations from the next European Parliament legislature and from Malta’s 6 MEPs. 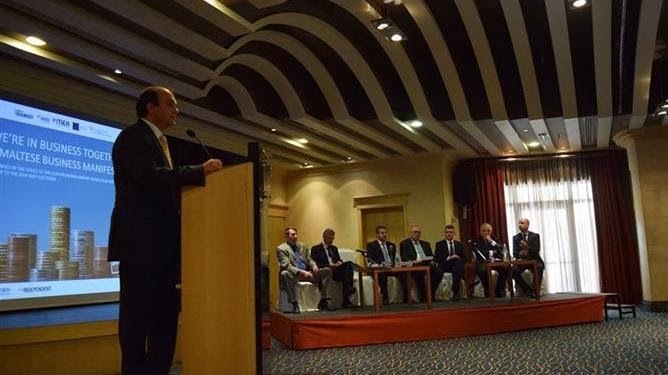 The manifesto, which carries the headline “We’re in business together,” was launched at a panel discussion this morning, and the associations – the GRTU, the Malta Business Bureau, the Malta Employers Association, the Malta Hotels and Restaurants Association and the Malta Chamber – were each responsible for one of its five chapters. They also agreed on three general principles, with the first being an emphasis on the application of the principles of subsidiarity and proportionality within the EU, as well as an increased awareness of Malta’s particular situation as an island country on the periphery of the EU, which, they point out, restricts Malta’s access to economies of scale and to...read on.